TTSN about 3000 hrs. only! 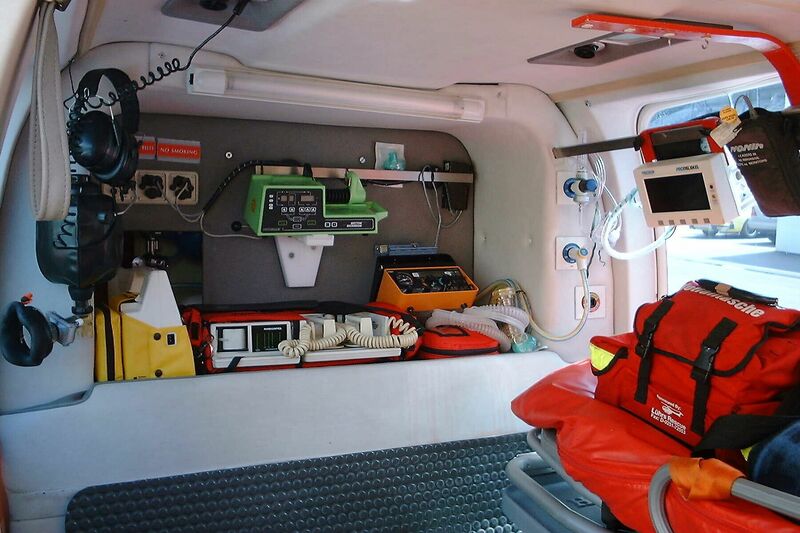 Improved version Air-ambulance (EMS) Bell-222 Convertible”3-in-1” (i.e. 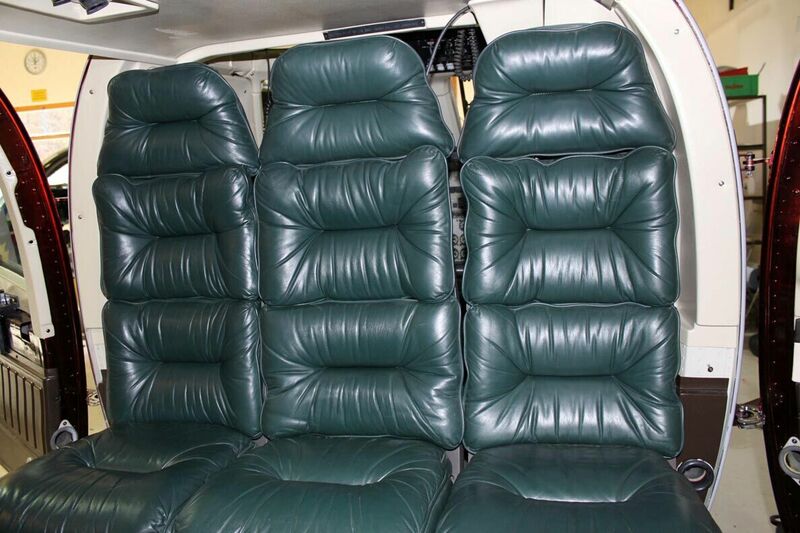 VIP 8 leather seats - EMS - Cargo) at 30 minutes only! High-equipped with Honeywell SPZ-7000 Digital Automatic Flight Control and Blind-flying Systemincluding Honeywell Helipilot system, Single Pilot IFR.AlliedSignal RDR-1400 Weather Radar, Aux Fuel Tanks, Cargo Hook Kit and Fixed Parts Floats (similar to offshore configuration). Helicopter is in current operation on special missions in Europe. This powerful, twin-turbine, all-weather long-range multi-mission and inexpensive helicopter is truly perfect for clever contractors wishing to have good profit, because this helicopter is convertible and may be in commercial work every day providing owner with quick self-repayment and good profit. 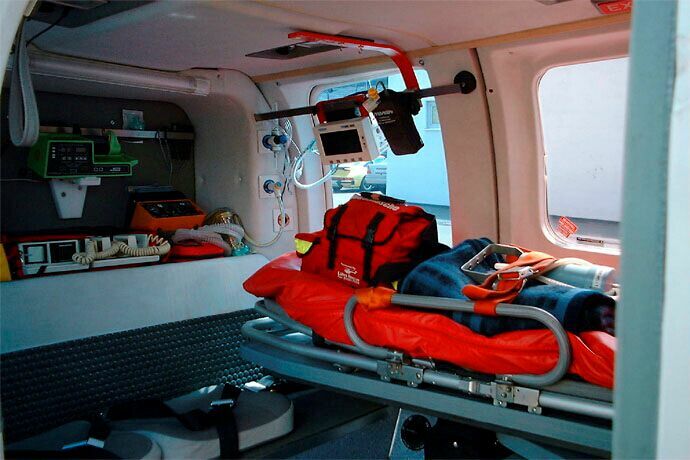 Comes with Full EMS Kit + Helidyne Stretcher system for easy loading + 6 superb Leather seats – new Corporate Interior. New high-end exterior. Helicopter has high skids. This gives better use in rough and remote areas and to land on any surface. The space of retractable wheels is used for auxiliary fuel tanks with more endurance. Two blades Rotor System allows to use small parking space! APC Data: Speed: 265 km/h; Ceiling: 6,000 m.; NS Range: 900 km. ; Loaded weight: 2,200 kg, Fuel Capacity: 188+122 US gal (710+460 L). is possible within 20-30 minutes with two man working. (cables, connections, etc.) the same as in offshore configuration are installed. 2 x Turbines: “Avco Lycoming LTS 101-750 C1” (735 hp !). Master Pilot training is included in the sale price! 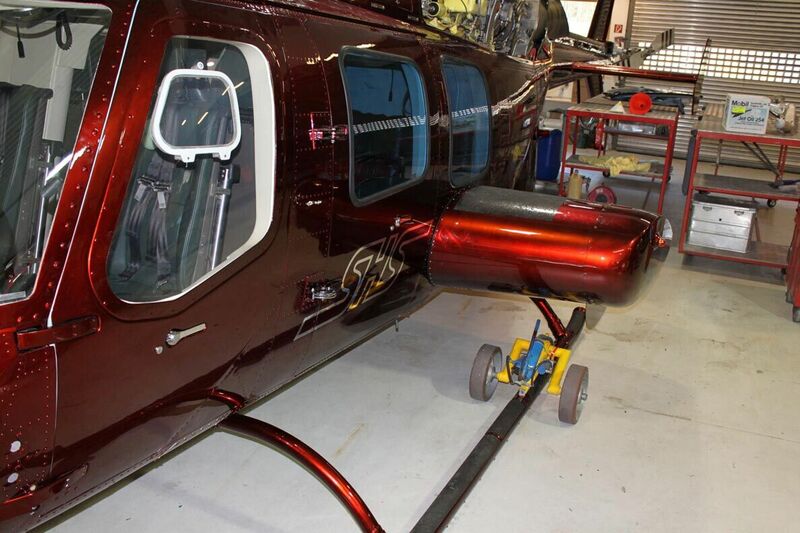 The exterior of helicopter may be painted to the colour scheme of buyer! Spare parts for new owner are available. 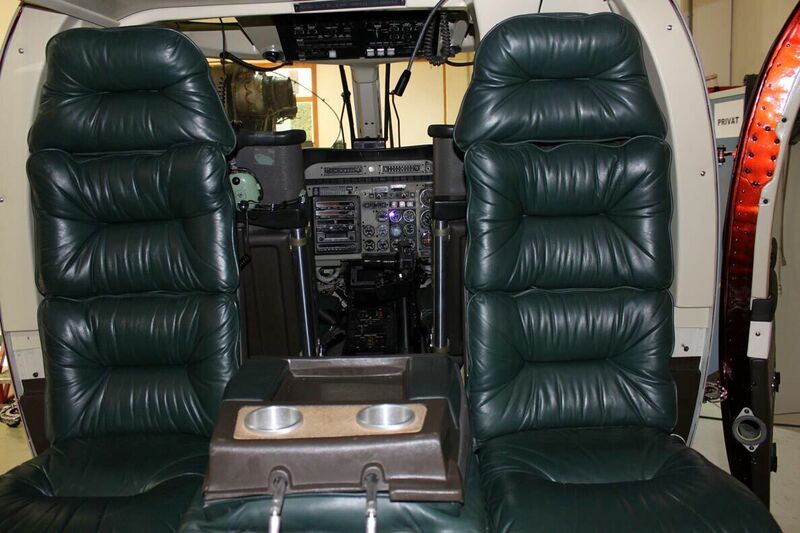 Helicopter comes with fresh 12-month inspection in excellent airworthy condition for “Class A” operation with new Certificate of Airworthiness and good remaining time till next overhaul due and with New high-end exterior and interior! 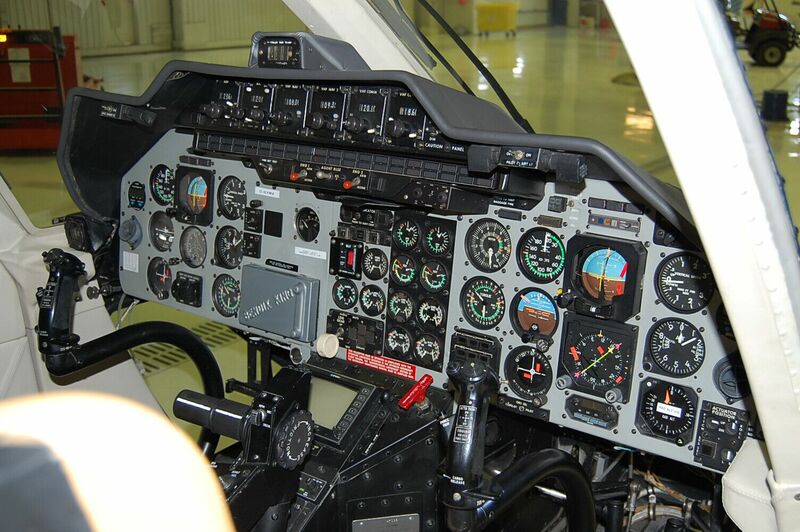 - The Bell-222 incorporated a number of advanced features including full dual hydraulic and electrical systems. Installed High Skids allow to land on any surface. 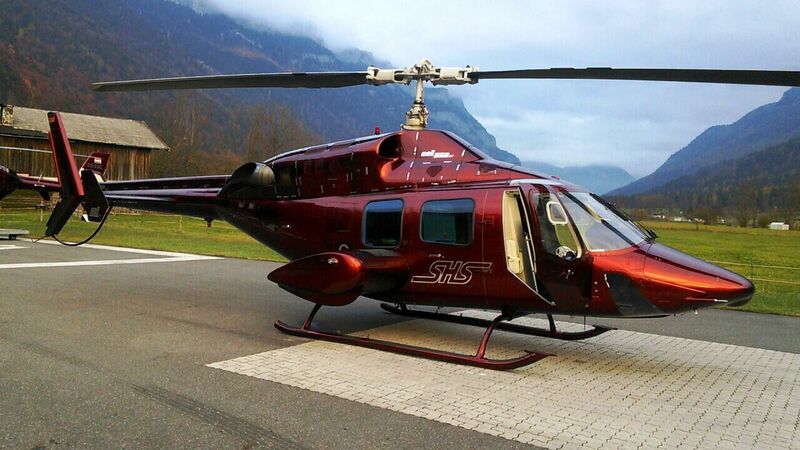 - The Bell-222 includes two main rotor blades of stainless-steel-fiberglass construction and rotor hub with elastomeric bearings, which are lubricant free! - Two-blade, semi-rigid high-kinetic energy main rotor with preconing and underslinging. - Two independent drive shafts deliver power from the engines to the transmission. - The fuel is contained in five crash resistant tanks located in the fuselage as well as in the sponsons, with a total capacity of 710 + 460 litres. - Good self-repayments and profitability due to low initial sale price and multi-purpose possibility to use convertible interior and good Useful Loaded weight: 2,200 kg ! 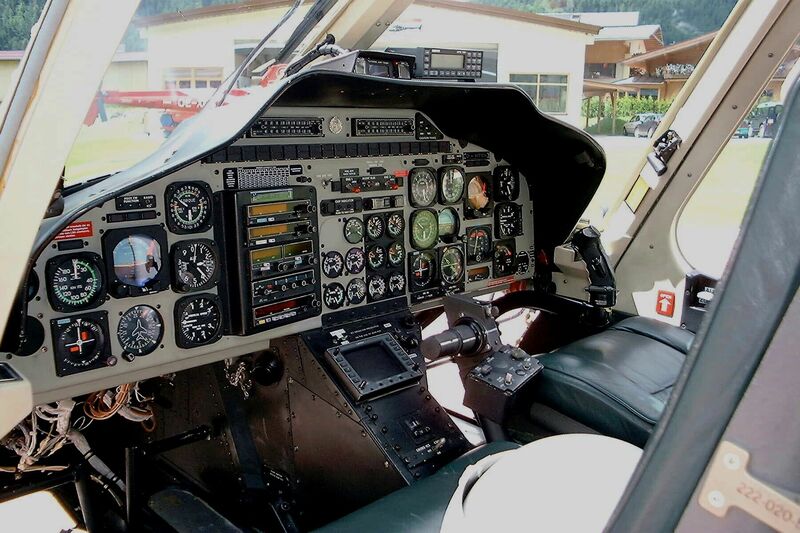 - Worldwide Media: The Bell 222 is widely known from the television series "Airwolf". Two-blade main rotor allows parking and masking helicopter in small area like container or simple garage or tent! Thanks to the two wide doors this helicopter may be in military use the same variant as Legendary UH-1N “Twin Huey” military Tactical helicopter. For that Bell-222 may be armed with large-calibre machine-guns and rocket systems just easy installed on helicopter. Having Auxiliary Fuel Tanks and landing High Skids, this Long-range helicopter has range 900 km. and may land on any surface, hereby this helicopter is perfect for evacuations of soldiers as well (total payload is about 2,5 ton!). Thus, this helicopter may be useful always and engaged in any missions.